The Jubilation of “Fashion Raya” in Setapak Central. 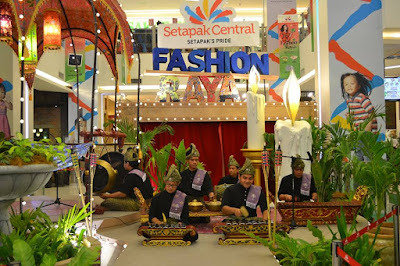 For this year, Setapak Central Mall had launched a campaign called "Fashion Raya" or Eid Fashion that promoted a trendy look with a unique combination of classical and modern style. The campaign started from June 16 until July 16, 2016. 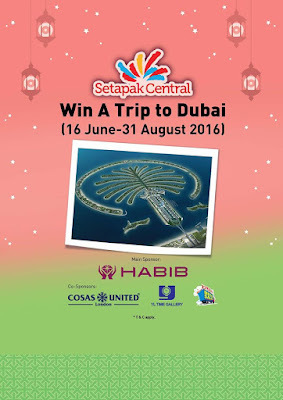 There are many interesting activities together with attractive price offer, which had successfully attracted many visitors to Setapak Central Mall. Yeah! I know some of you have been very lucky to win great prizes by participating in these contests throughout this campaign right! Just so you know, the campaign was launched on June 18, 2016, which was officiated by YB Dato. Dr Tan Kee Kwong, Assemblyman of Wangsa Maju. The lead singer of Magistrates, Akim Ahmad was there too! He has conducted the most mind - blowing meet and greets with fans. You should’ve seen his pretty awesome performance, everybody was blown away by his voice! 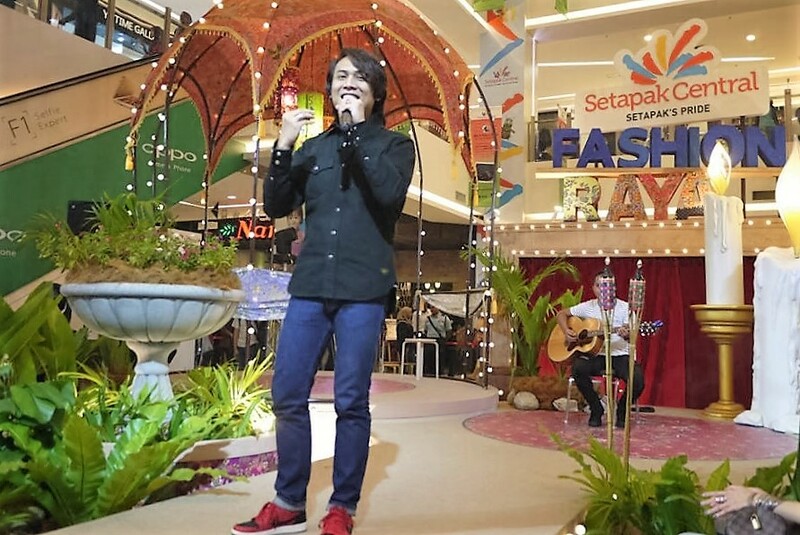 Akim has sung two of his popular songs accompanied by an acoustic guitar from one of the Magistrate group members. The emergence of Akim Ahmad was the most awaited event by everyone in the mall. He sounded so good singing live! 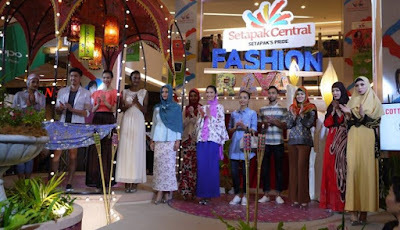 Setapak Central had also brought you the fashion shows from five different brands outlets and among the brands involved were Cotton On, Niichi, Breeze, POLO and SRB which I know it helped you to give your best shot at looking great during Mubarak Eid! Here was the best thing that I love the most; Traditional dance performance which was also held in conjunction to the launch of this campaign where I bet it would make you miss home so much and bring back some nostalgic memories. Apart from the fashion show and Traditional dance performance, visitors could also participate in several amazing activities such as hijaab styling, bridal make, tying the Samping and many more. Everything was so traditional here. Another good thing is for those who spent RM100 and above (maximum 2 with combined receipts, on the same day), had received free packets. While those who spent RM300 and above (maximum 3 with combined receipts, on the same day), had been given a fruit bowl for free! Here is the best part! While those who spent RM500 and above (maximum 5 with combined receipts, on the same day), had proudly brought this 'exclusive plate set' to home for free too. Oh yeah! There was also a range of iftar meals promotion where they were sold at an attractive price and worth every penny throughout the Ramadhan month! For those who have joined the contests, I am pretty sure you must be eager to know who’s the lucky charm to go to Dubai, whoaaaa! I’m so jealous. 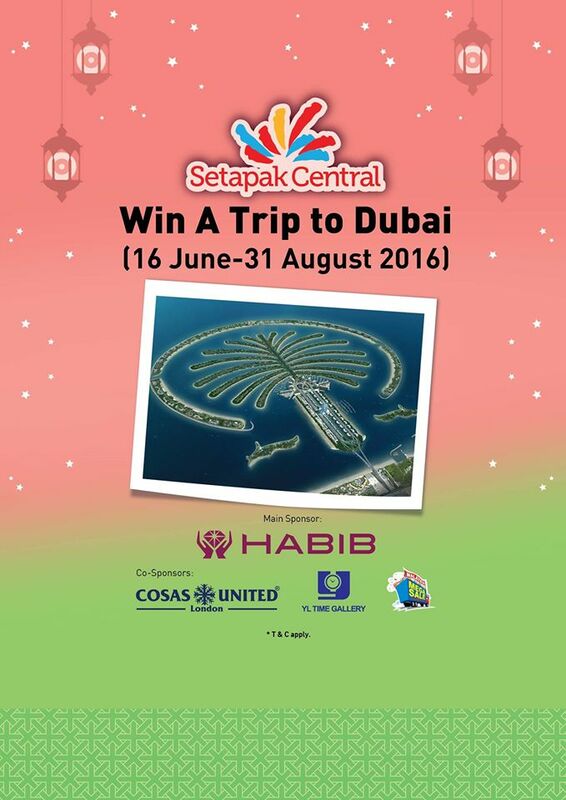 Let’s shopping and have a remarkable experience at Setapak Central Mall and stay tuned for more endless fun activities!! !